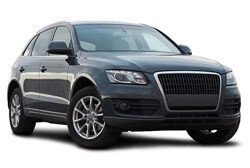 There are many reasons people choose to drive Sport Utility Vehicles. Some need the combination of pulling power and extra cargo space. Others like the increased passenger seating and safe, heavy build. Others still like the off-roading power and the ability to get around in the snow. Whatever your reason for owning an SUV, Hollin Hall Automotive will help keep your SUV in top shape. At Hollin Hall Automotive we have the heavy lifts and diagnostic tools necessary to take care of all your SUV auto repair and maintenance service needs. Our ASE Certified technicians have the knowledge and experience to work on all years and models of SUVs. Our auto services will keep your SUV running at its best so you can continue to take advantage of its many uses.